Chanwit is an Assistant Professor at School of Computer Engineering, Institute of Engineering, Suranaree University of Technology, Thailand. He co-founded SUT Aiyara Cluster Laboratory, where he has been co-developing low-powered ARM-based clusters for processing Big Data using Apache Spark and Hadoop. Chanwit is also a top contributor of Docker Swarm, a native clustering engine for Docker. One year ago, Chanwit and this team built a great Spark/Hadoop cluster with Cubieboard2. 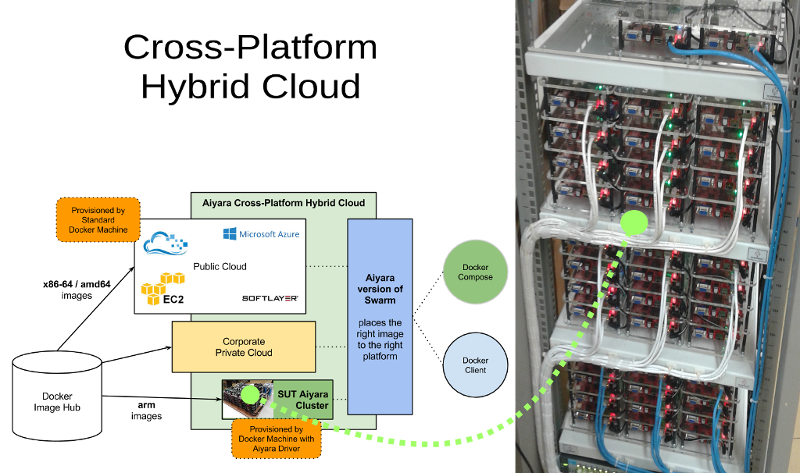 Recently, he has developed a cross-platform hybrid cloud system atop Docker with 50 unit Cubietruck boards. If you are interested in the cloud and big data academic issues, go Here for more details. One Response to "Cross-Platform Hybrid Cloud with Docker based on Cubietruck"